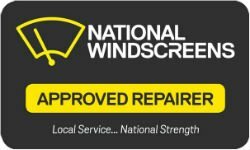 When you need prompt and reliable mobile car window services in Glenbrook, don’t look past the team at National Windscreens. Able to assist with everything from windscreen repair and windscreen replacement through to car side window replacement, our team are dedicated to making your vehicle safe once more so you can get back on the road again sooner. Plus in addition to assisting Cootamundra locals, we also offer our services in surrounding areas such as Blaxland, Lapstone, Leonay, Emu Plains and Regentville. Offering a wide range of mobile car window services in Glenbrook, call the team at National Windscreens now for the prompt assistance you need. We can also assist locals in Blaxland, Lapstone, Leonay, Emu Plains and Regentville. Contact us today to find out how we can help you!